There is no rule that states when you get a credit card services from a certain provider you have to keep them for life. The truth is, our needs change. The credit card you have during your 20s may not meet your needs when you reach your 30s. And this may require you to get another provider that offers perks and privileges beneficial for you. Here are the key signs that will determine whether you need to drop your current credit card provider. Nobody wants to talk with an impatient or an unknowledgeable customer service representative. If you’ve called you credit card provider several times to express a concern, only to be greeted by an unfriendly personnel, it’s time to ditch your credit card company. There’s nothing wrong with getting a no-frills credit card. However, if you’ve reached that stage of your life when you’re financially stable and ready to pay your own bills or travel and shop a lot, you deserve the rewards, miles points, and cashback as a regular credit card user. A high annual fee isn’t necessarily bad especially if you are getting a lot of rewards every credit card use. But if you feel like the annual fee doesn’t justify the privileges you get, you’re better off looking for another credit card company with lower to no annual fee. If you’re an on-time payer, high interest rate isn’t much of a problem for you. If you frequently carry a maintaining balance each month, you may want to negotiate with your credit card company to reduce your rate. If they don’t allow this, start shopping for a new and better provider. 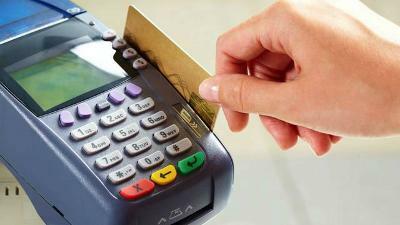 Nowadays, credit card companies have integrated the use of technology to provide better services to clients. If your credit card provider has poor or no online features at all, it can be a hassle to always drop by at your bank’s office in order to do your transactions. For more convenience, look for credit cards provided by larger banks, which has advanced online features. Many banks in Singapore offer credit cards, so there surely is a credit card that’s suited for you. Just make sure to consider all options and do your research well to land a better offer than your previous one.